Sneakers are an undeniably seasonless wardrobe item. Rain or shine, flurries or heat waves, the comfortable shoes fit the occasion. That said, it’s not uncommon to fall back on the same combinations when styling them time and again. Jeans and sneakers are a classic pairing but can begin to be repetitive if that's the only way you're wearing them. Thankfully, we found six suggestions for winter outfits with sneakers that will switch things up. Looking to some of our favorite fashion girls, we’ve compiled a few inspired combinations that are creative, uncomplicated, and easy to copy. They feature party dresses, tailored separates, and exaggerated athleisure alike. What's more, they'll sufficiently shake you out of a style rut without forcing you to forgo any of the comfort that sneakers provide. Keep scrolling for a few fresh ways to wear your long-time footwear staple. The pajama dressing trend is practically made for sneakers. It's two comfortable yet very fashion-forward trends in one ensemble. We especially like the addition of a sleek trench to polish it off. There are not many cocktail parties that typically call for sneakers, but the addition of the practical shoes makes a dressed-up piece feel much more casual for daytime. Extra points for clashing accessory colors. Suiting doesn't have to be so serious or stuffy—as this lemony version proves—and your footwear doesn't have to be either. 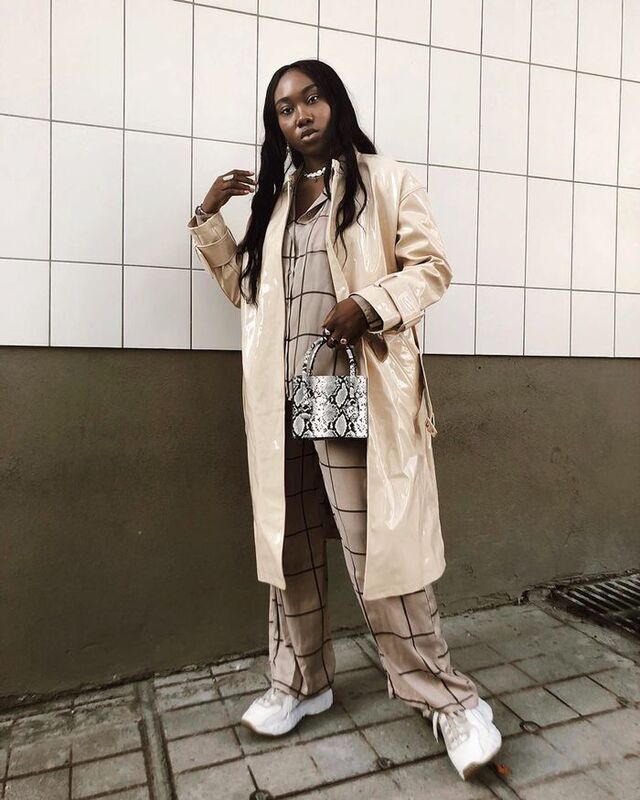 While black has always been fashion's favorite neutral color, we encourage you to opt for brown in 2019. Hot tip: We suggest mixing multiple shades of the hue in one outfit. In 2019, it's go big with your athleisure or go home. Statement-making pieces really shine when worn with a super-casual pair of shoes… but a bit of color coordination doesn't hurt either. Next, shop the so-called "dull" sweater that's in every fashion person's closet.